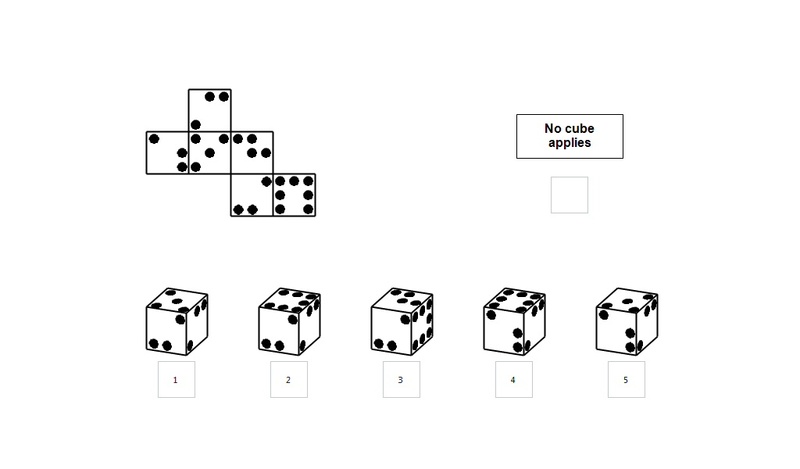 At Cube Folding Test you are likely to encounter variations of cube tests in any airline screening as they work well to assess visual thinking. In this test you will see an unfolded cube and five ordinary cubes. Your task is to select the ordinary cube that would reproduce the shape of the unfolded one above if unfolded.